GMC established the “Professional Grade” branding nearly 20 years ago. Now, it's trying to make a more emotional appeal to consumers by launching an ad campaign that focuses on its buyers' lives with their vehicles. 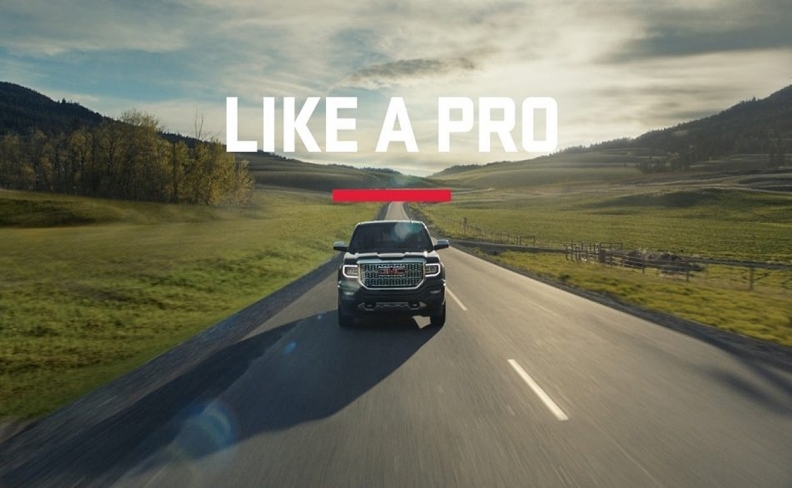 General Motors Canada has followed its United States counterpart and launched its own GMC “Like a Pro” line of video advertising, which informalizes the brand’s long-running “We Are Professional Grade” tag line. GMC established the “Professional Grade” branding nearly 20 years ago. Now, it’s trying to make a more emotional appeal to consumers by launching an ad campaign that focuses on its buyers’ lives with their vehicles. “This enables us to add some humanity into our ads and into the brand and drive an emotional connection,” GMC Marketing Director Rich Latek told Automotive News Canada. While two main ads are the same in Canada and the United States, GM Canada broke away from the U.S. versions for a third ad designed specifically for Canada. All the ads, including the ones that air in the United States, were filmed in Canada, either in the Vancouver or Toronto regions. The commercials, scheduled to begin airing today, don’t highlight the utility or amenities of GMC pickups, SUVs and compact utilities. The lead ad, “How Do You Want To Live — Anthem,” is the same as the U.S. version and will air in 30- and 60-second spots. They introduce the campaign by asking if people want to have merely adequate lives before asserting that GMC owners prefer to live "like a boss, like a rebel, like a standard-bearer, like a pro." Another one used in both countries is called “Dad Like a Pro” and shows a young boy mimicking his father, who brings home a motorized, ride-on toy version of his Sierra Denali crew cab. The spot casts a real-life father and son, GMC said. A third ad is unique to Canada. With the popularity of double-cab special-edition trucks among Canadians, a unique 30-second spot called “Truck Envy,” featuring the Sierra Elevation edition, will additionally air in Canada. “With this new campaign we look forward to bringing that emotional connection to life, and show how we think our customers live their lives like pros,” said Mike Speranzini, brand director for GMC in Canada. The campaign also debuts the redesigned GMC Terrain, which launches in Canada later this summer. Future commercials scheduled to air later this summer will follow a similar formula, such as using the phrase “Third Row Like a Pro” to demonstrate the Acadia large crossover’s seven-person capacity. Actor Will Arnett continues his role as GMC’s voice in the commercials. The ads, which still include the line “We Are Professional Grade,” also will appear in other types of media and in dealership showrooms. You can watch the "Truck Envy" spot in the video below.